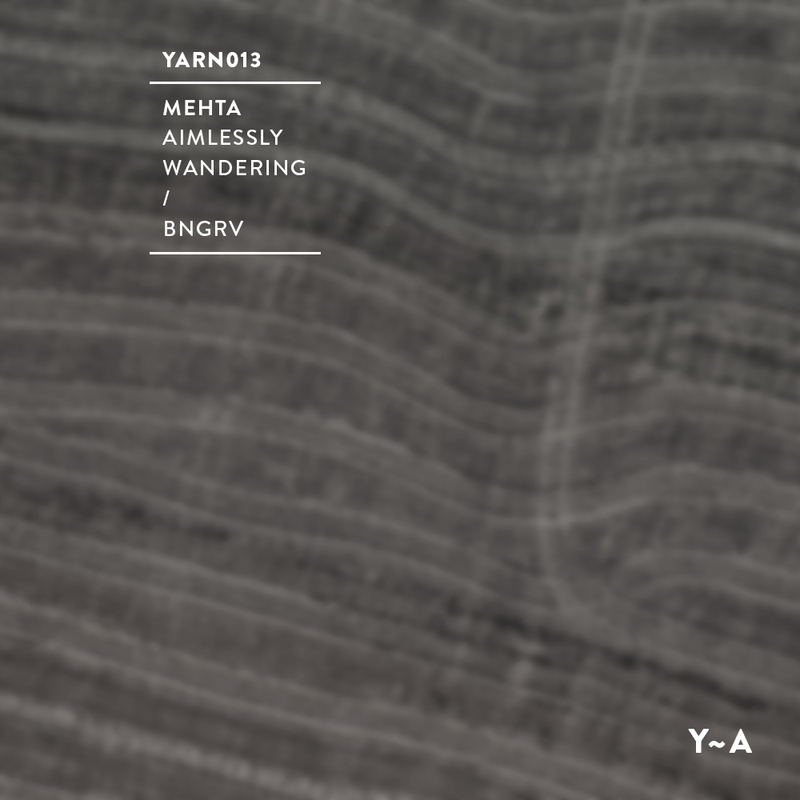 On Yarn Audio’s thirteenth release Mehta delivers two constrained & bristling yet dreamy hardware jams. 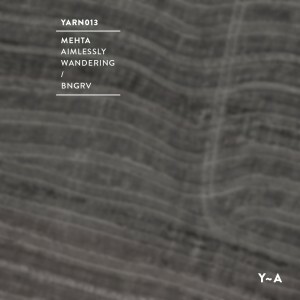 «Aimlessly Wandering» trudges through a dry and acidic terrain that slowly gives way to a soupy layer and hints at an anthem that never quite manifests. «Bngrv» pushes a vaguely ametrical bassline underneath a steady raw shuffle. A chord enters twice before the track melts into a tense and noisy overload before dropping back into its unbuttered shell. Emerging from Saskatoon, a very isolated and relatively small city in Canada, Mehta presents these tracks for the night’s decay, pleasantly confused specters haunting the dancefloor. Gear list for the nerds: Urzwerg, DE1, AX60, RS-09, TR-8.